The Advent season brings to us the story of John walking through deserts and baptizing in the Jordan river. Interestingly, John was not the only one doing something like that at that time. During the time of Cuspius Fadus as the procurator of Judea there was a prophet Theudas who took people to the desert promising them that he would divide the waters of the Jordan River and bring them back to the Promised Land. But Fadus sent a heavy cavalry and stopped them before they even tried. When Porcius Festus governed Judea, there was the so called “Egyptian prophet.” A man who allegedly came from Egypt, gathered a substantial number of people, took them for a round trip through the wilderness and brought them up to Jerusalem with a promise that he would make the walls fall down like Joshua did at Jericho. Festus sent troops and scattered them off. Jewish historian Josephus Flavius also has a summary report of more charlatans, imposters or deceivers (as he calls them), who misleading many people, made them act like madmen and go to the desert with promises of deliverance and social, economic and political changes. There are clearly some common repeating features: taking people to the desert/wilderness, crossing rivers, toppling walls. In fact, they were repeating old religious archetypes by reenacting Exodus and the Taking of the Promise Land while each had some special feature or emphasis. Among the biblical scholars there is little doubt that John the Baptist belonged to this group of reenactors. 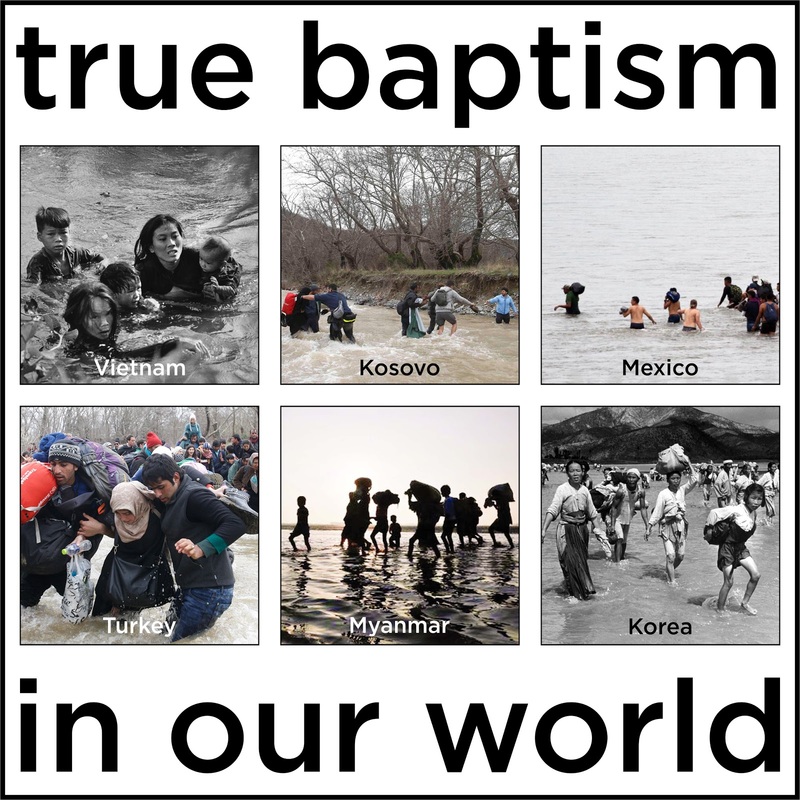 John’s special feature was the “washing” in the Jordan river and then sending the baptized one by one to infiltrate, retake and repopulate the land. Thus, in a more peaceful way start all over again a just and peaceful society as God would have it. John the Baptist was indeed this prophetic reenactor of liberation. And that is something not all might know about him. Join us this Sunday in worship as we ask what would John the Baptist do today? Would he still be by that muddy creak dividing Israel and Jordan baptizing the American fundamentalist tourists on that “exact” spot as he did those thousands years ago? Or would he be leading and supporting people through the Sonora and our other southern deserts? Or would he be helping people to cross the Rio Grande, Colorado River and its canals?